Air Conditioning (AC) & Heating services in Virginia Beach. We service and repair most heating and cooling systems. You don't have to suffer in your home! With allergy and pollen season near, give our health air experts a call. 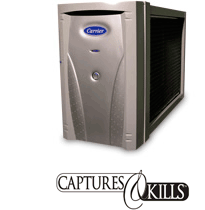 We offer a wide selection of indoor air quality services and products. Learn more about our Indoor Air Quality solutions. Air Conditioning (AC) & Heating Services in Virginia Beach and surrounding communities. Thank you for considering JT Mechanical as your heating and cooling expert. 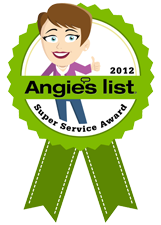 We want you to know right up front that customer service is our #1 priority. Need proof? Take a look at some of the reviews from our completely satisfied customers here. 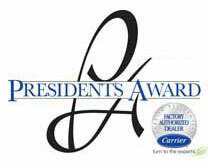 JT Mechanical is a Factory Authorized Carrier Dealer. We earned this distinction through integrity and excellence in action. It is our performance rather than our promises that count. In all efforts that affect our customers and our business, we strive to exceed every expectation in doing things right and continually improving our level of expertise, professionalism, service, and customer satisfaction. JT Mechanical provides heating and cooling services for Virginia Beach and surrounding communities. We are a licensed and insured HVAC company that provides the very best in Air Conditioning (AC) Repair and Heating Repair. We are a family owned Heating and Air Conditioning Specialist with over 25 years of excellence. We take great pride in the fact that our customers really become part of our circle of family and friends. We provide NATE Certified technicians and installers with solutions to provide you with the very best service of your Air Conditioning and Heating in Virginia Beach and surrounding communities. Also, be sure to view our > Current Coupons < for additional money saving opportunities!